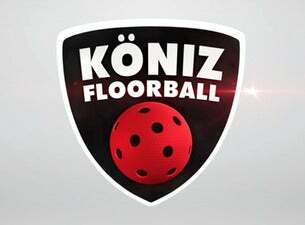 Regional, sustainable and social: this is the successful association Floorball Köniz. The floorball association founded in 1998 is the largest and most successful in the agglomeration of Bern. Today it has 22 teams with over 400 active women, men, youngsters and children. The youth work carried out by Floorball Köniz is a leading force in Switzerland and is an important reason for its numerous successes at the highest national level. The first men’s squad in the national league A also originated from the association’s own support for young people. Floorball Köniz’s successes speak for themselves: 1st men’s team: cup winners in 1999, 2008 and 2016 and vice champions in 2008, 2013 and 2016. Under 21s: Swiss champions in 2003, 2004, 2005, 2006, 2011 and 2014 and vice champions in 2016. Under 18s: Swiss champions in 2010, 2014 and 2015 and vice champions in 2009 and 2012. Under 16s: Swiss champions in 2015 and 2 times vice champions Under 14s: 2 times inter-champions and 3 times regional champions Floorball Köniz is broadly based with 400 active and 200 passive members of all age groups. Thanks to its good networking with business representatives, the association is supported by 50 sponsors from a wide range of industries. By holding numerous major floorball events and association gatherings, Floorball Köniz sets an example on the Swiss floorball scene.